Last month, the Clinton campaign hired Nadia Garnett to lead strategic efforts as the African-American Vote Director. Garnett has displayed her skills in ways that few have. In addition to serving as national political director for the Center for Community Change, Garnett was also special advisor in the Office of Presidential Personnel at The White House. She also served as eastern state director for The Atlas Project, a political research and data firm that works with electoral and issue advocacy campaigns. There, she coordinated campaign staffers, political consultants, and state experts regarding their role in developing, managing and executing campaign plans in presidential election years, according to her bio. NBC BLK reported that Tamia Booker will serve as the director of African-American outreach and Zina Pierre will work with pastors and Black churches as the campaign’s African-American faith director. The Clinton campaign tapped Joel Payne to be the director of African-American paid media and LaDavia Drane is the campaign’s deputy director of congressional affairs. 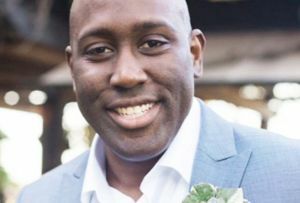 Marlon Marshall, who serves as director of state campaigns and political engagement for Clinton, is as seasoned as any individual in any political camp. The St. Louis-born resident possesses a broad portfolio that includes helping the campaigns of John Kerry and now presumptive Democratic presidential nominee Hillary Rodham Clinton. Marshall’s colleague, Garnett is also far from a political novice. Garnett has worked with pollster Cornell Belcher at his Washington, D.C.-based Brilliant Corners and Garnett once served as a field director for the Democratic Congressional Campaign Committee’s Independent Expenditure. Together, the new hires could be viewed as the face of the Clinton campaign in the Black community. But, they also do much more in trying to help the former First Lady and Secretary of State become the nation’s first woman president. They are Clinton’s eyes and ears and they lead her efforts to make sure her message is known in every state, including where the assumption is that the GOP will ultimately carry that particular territory. As Kerry’s southern political director, Garnett also helped to establish and strengthen political relationships with Democratic National Committee members, Congress, state and local elected officials and grassroots activists in Arkansas, Florida, Louisiana and Virginia. Once a key White House aide, Marshall has remained the highest-ranking African-American staffer on any presidential campaign. He organized for John Kerry in 2004, joined Clinton’s campaign in 2007, and then worked on both of Barack Obama’s campaigns. The St. Louis native also served as the national field director for the Democratic Congressional Campaign Committee – the first Black person to hold that role. Marshall joined the White House staff in September 2013. In a Nov. 2015 CNN profile, several Clinton aides credited Marshall with helping to create a diverse campaign team at the state and upper staff level. Plugged in staffers have helped Marshall to make sure the campaign is tuned in with what people are talking about. When, for instance, video surfaced of a Black high school student getting yanked from her chair by a school resource officer in South Carolina, a digital staffer flagged the incident and Marshall coordinated the campaign response. One of his most important tasks is helping the Clinton campaign navigate a cultural and political terrain that includes a new civil rights movement, viral racial incidents and the waning tenure of the nation’s first Black president. Both Marshall and Garnett said Clinton believes in developing and maintaining a strong economy for all Americans and working with U.S. allies. When noting Trump’s slogan of “Making America Great Again,” Marshall said it’s just talk. In part, Clinton wants resources for training police officers. She also has a global view of the future and what needs to be done, he said. “One reason I’m excited about her is that she gets it,” Marshall said. It’s also important to recognize that Clinton has previously been elected to office and knows the ins-and-outs of politics and the needs of American citizens, Garnett said.